Now it has happened. Pigs can fly. While I haven't personally witnessed that particular phenomenon yet, I have to assume that it exists, since an equally unlike event has taken place: My Surly ICT has cracked, which is just about the last frame for which I thought this to be possible. 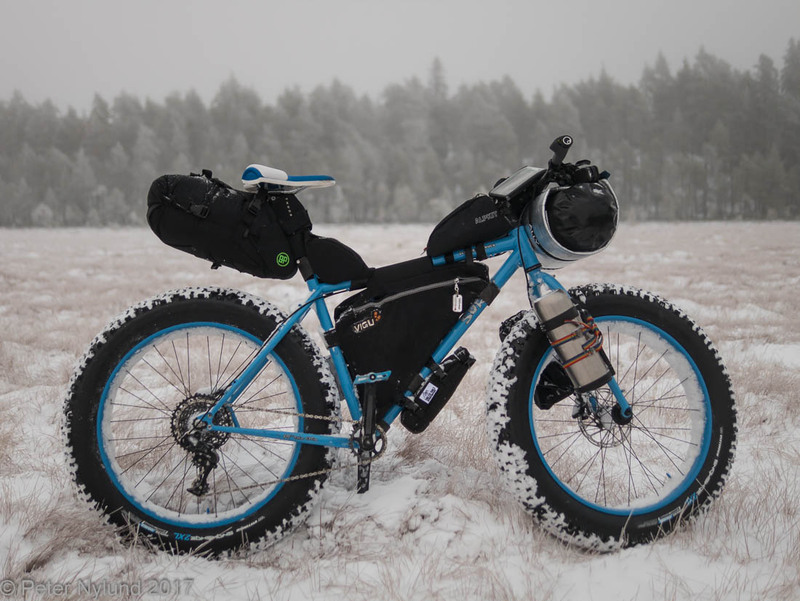 I bought the frame last December and built it up to be a rather strong and reliable workhorse for bikepacking in demanding conditions. The end result was quite nice and visually pleasing. 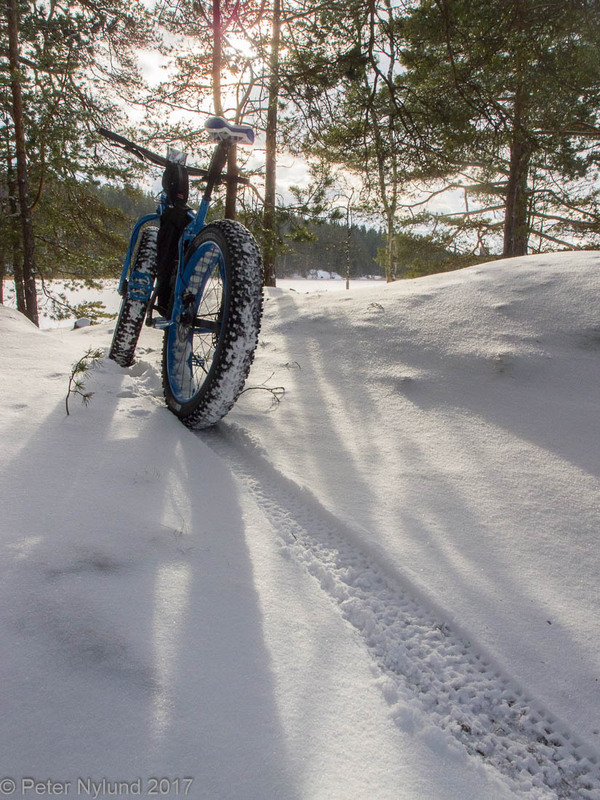 It worked well and I rode it quite a bit during the winter. When the spring came I mainly rode other bikes and didn't even ride that much, due to too little time and to some extent health issues (nothing serious). During my vacation I got better and had more time and also started to do more mountain biking. I also thought it would be fun to test the ICT in tractor mode, i.e. with the 2XL tires. While I had done a few shorter rides together with the kids with it, this was the first more serious trail ride with it in the summer. I rode about a half hour on local trails, including some speedier descents, and then went to a fifteen minute bike lane transfer section. Ten minutes into this was an uphill which I rode standing with a little more power. I heard two sharp creaking sounds, but thought they came from the bottom bracket. They didn't sound completely familiar, but I assumed it to be the bottom bracket which sometimes can creak a little. A while later came another short uphill section and I again pushed a little harder and heard a cracking sound. 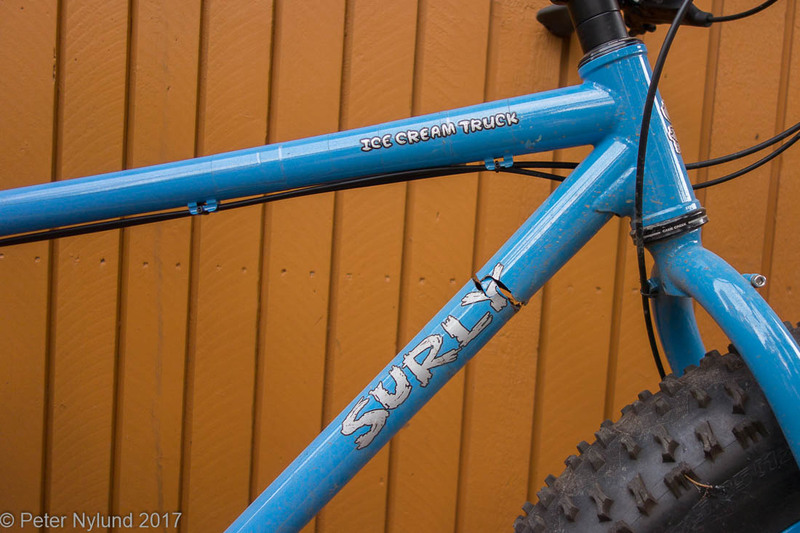 I stopped and looked at the bike and soon noticed that the down tube really had cracked. I was a thirty minute walk from home. Disbelief was the feeling I had when I walked home. 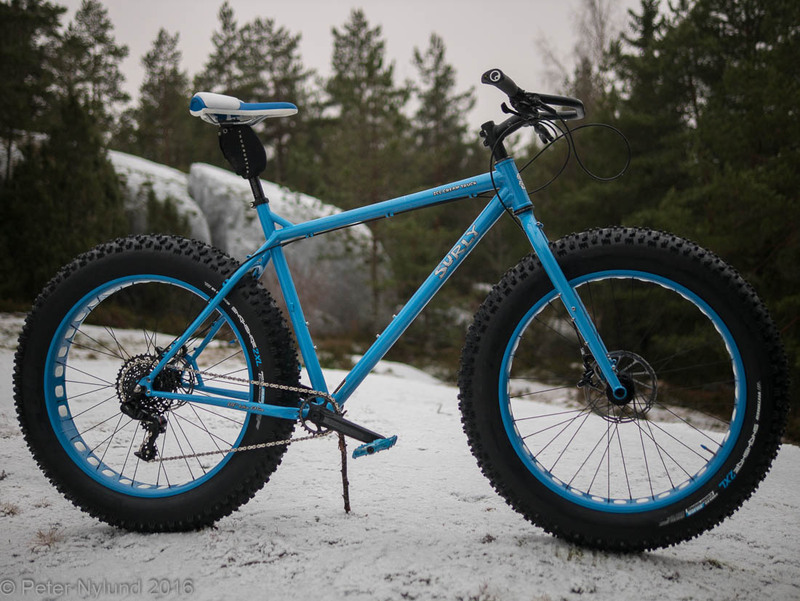 I'm no lightweight, and with around 100 kg on a 192 cm tall frame I do have a few kilograms too much weight, but by American standards that's not too much. And the ICT is made for Americans. Riding uphill standing sure does stress the frame a little since you push with your legs and pull with your arms, but my handlebar isn't overly wide at 74 cm and my legs have more endurance that strength, so I don't think that explains anything either. And I'm sure there are people running the ICT as a singlespeed, which definitely is harder to the bike. 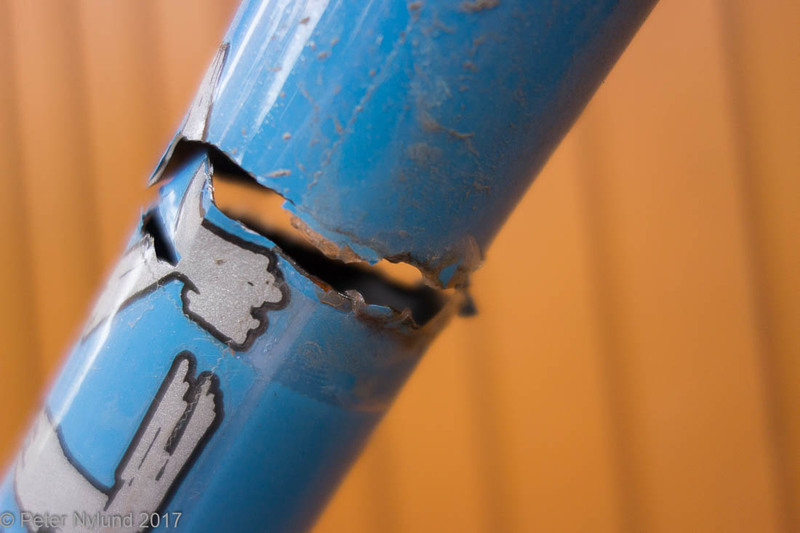 In my opinion I'm not especially hard on frames and have only had one frame crack before, and that was a frame that was known not to be durable enough. Looking at the crack a little more closely reveals a little rust, which indicates that a first crack had developed earlier. This first crack naturally explains what happened later, but I have no idea when or why it happened. 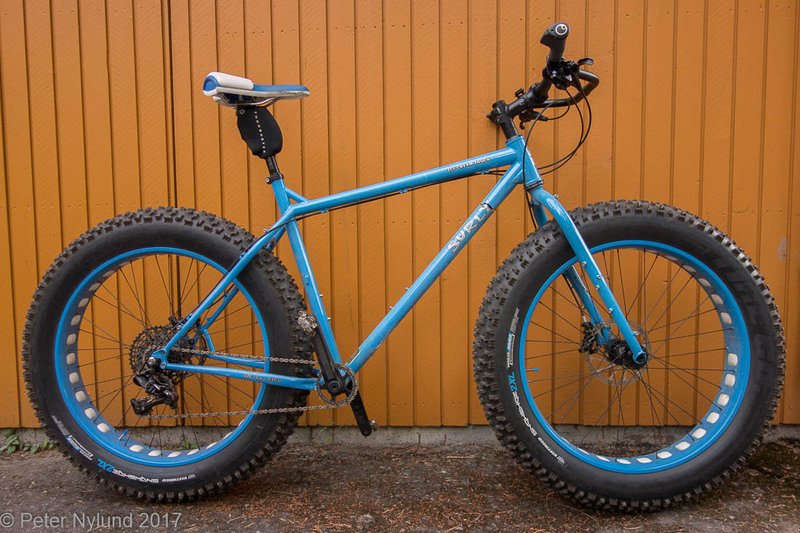 I had no doubt that Foxcomp and Surly would handle this without a problem, and a replacement frame is on its way and should be here next week, but it is a shame about the color. I really liked this blue color, which is color matched to the rims, but that color is in no longer available. The current yellow color is just terrible, and fortunately the black color was still available. Black is ok according to a color simulation I made, but definitely not as good as the blue one.